Antonio Villas-Boas/Business InsiderThis screen lets you program the facial recognition feature on the Galaxy S8. Samsung’s newest security feature can easily be fooled. But it’s not a secure way to lock your phone, as the folks at iDeviceHelp discovered this week. Samsung did say the facial recognition feature isn’t as secure as a fingerprint or the new iris scanner, but the fact that it’s still an option to lock your phone when it can easily be tricked is a bad move. Plus, there’s better technology already available that lets you unlock a device with your face, like Windows Hello, which uses special sensors to analyse the contours of your face. It’s so accurate that it can even tell identical twins apart. 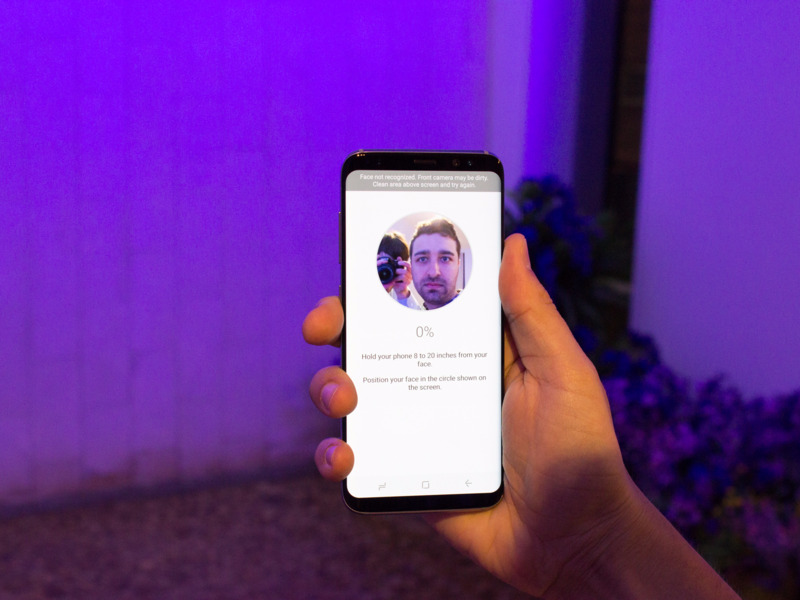 Our advice: If you get the Galaxy S8, don’t use the facial recognition feature to lock your phone. Use a PIN, fingerprint, or the iris scanner instead.